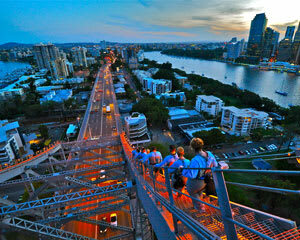 Push yourself to new heights and experience the city like you've never seen it before—from the top of Story Bridge! 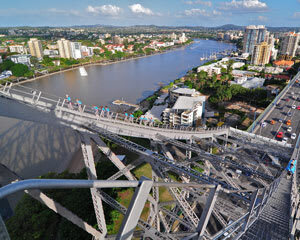 Climb the icon structure and appreciate Brisbane’s glorious scenery from a whole new perspective. 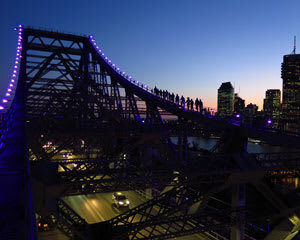 Equal parts challenging and exhilarating, a Story Bridge adventure climb treats both visitors and Brisbanites to a strikingly unique adventure. It doesn’t get more off the beaten path than this—anyone with a thirst for excitement will fall in love with a Story Bridge climb! There are many different ways to experience your Story Bridge adventure. Climbs are offered at all times of day or night, which means you can watch the city come alive while the sun rises over scenic Moreton Bay on a dawn climb or witness the magic of emerging twinkling stars on a twilight climb. And if you're brave enough, you can even opt for a night adventure under the multicolored LED glow of the Story Bridge lights. For those seeking an extra thrill, the express climb will get you to the top of Story Bridge as quickly as possible (and get your heart pounding even faster!). Or, try out the world's only abseil bridge climb and abseil your way down Story Bridge for even more of a challenge—it's a totally vertical drop back to base! Brisbane's Kangaroo Point is where the adventure begins. You'll start at a Story Bridge adventure climb base camp, located right under the structure. Here, you'll receive your kit and be briefed on climbing techniques and safety. First-time climbers (Story Bridge or otherwise) are more than welcome! Led by your experienced guide, you'll make your way across Story Bridge’s suspended walkway, be connected to the climb line and begin the climb! As you reach the bridge’s apex, you’ll gaze down from the summit platform and feel a remarkable sense of accomplishment. 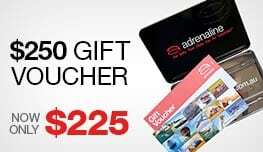 Take in the 360-degree views of the Brisbane skyline and beyond. 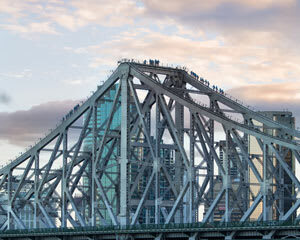 From the top of Story Bridge, Brisbane’s panoramic views stretch from the Glass House Mountains in the north to the southern Scenic Rim Mountains. Your experience continues by traversing halfway across the river before you return to the summit platform. Smile! There's a group photograph to remember your amazing Story Bridge adventure climb. Brisbane's most unique excursion now comes to a close but don't worry, the memories it offers stick with you long after you're safely back on the ground!